Samsung, is expected to launch new Galaxy A phones such as Galaxy A10, Galaxy A20 and Galaxy A30, during the first quarter of this year. However, rumours has it that company probably release a Galaxy A50 phone in the second quarter of the year. It has been certified by the Federal Communications Commission (FCC) in the U.S. Some of the key details have been leaked. 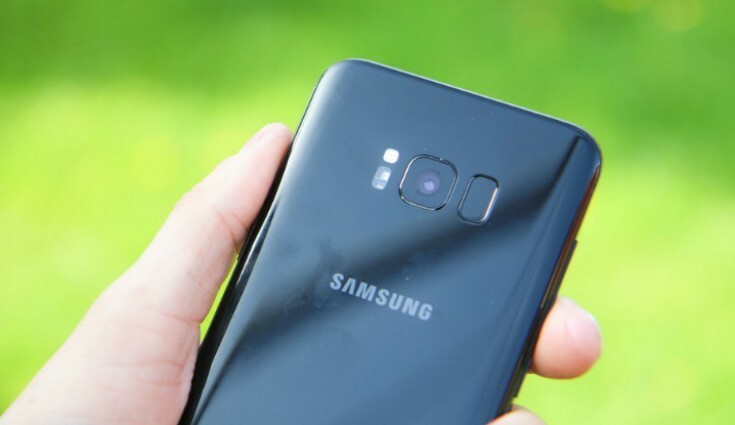 The Korean giant Samsung, is likely to announce new Galaxy A phones such as Galaxy A10, Galaxy A20 and Galaxy A30, during the first quarter of this year. However, speculation is rife that the company probably release Galaxy A50 phone in the second quarter of the year. Certified by the Federal Communications Commission (FCC) in the U.S., some of the key details have been leaked. 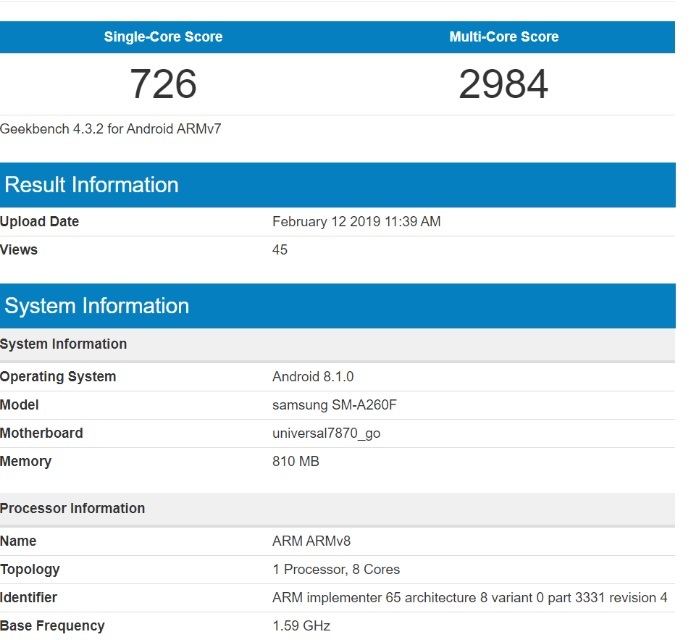 Moreover, the latest Geekbench listing that there will be an Android Go version of the Galaxy A20 smartphone. Galaxy A50 will be equipped with a 6.22-inch display. It measures 158.5 x 74.5mm which suggests that it could be featuring a waterdrop notch screen. It will have support for connectivity features such as Wi-Fi 802.11ac, Bluetooth 5.0 LE, LTE and ANT+. In the previous month, the Galaxy A50 was certified by Bluetooth SIG and Wi-Fi Alliance bodies. Samsung phone with model number SM-A260F has appeared on Geekbench which will be launched. It has a model number of SM-A205F, but it is believed that the SM-A260F will be packed with low-end specs like 1 GB of RAM storage space. It is likely to be its Android Go edition. According to Geekbench listings, the Exynos 7870 has a “go” tag. Smartphone runs on Android 8.1 Oreo OS. In the single-core test, it has scored 728. It has recorded 2,984 in multi-core test. No confirmation on the launch date of the Galaxy A20 Android Go edition.